NBA interiors completed a renovation of the existing 1990’s lobby which included new stone flooring, leather wall panels, art, lighting and furniture to bring a fresh and updated look throughout. 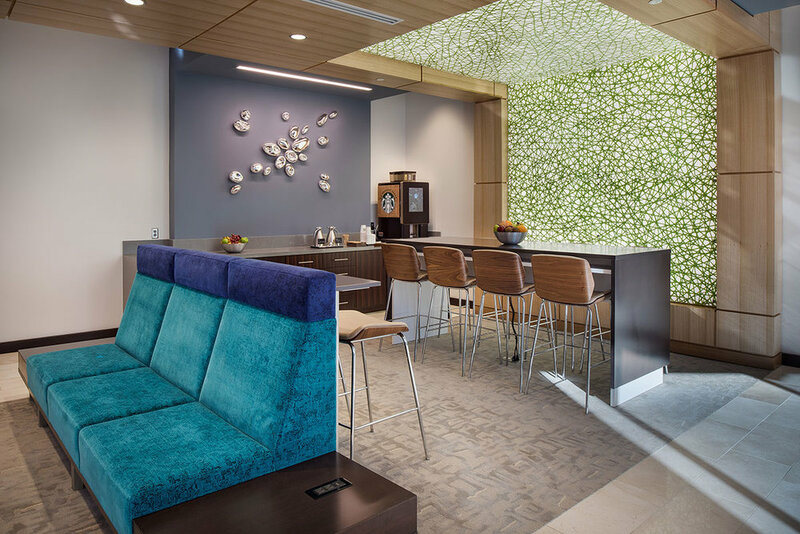 A broker's office was converted to a new transit lounge featuring a tenant coffee bar, WIFI and media feeds of Marta, Uber, news etc. The lobby is anchored by a custom new security desk complete with a built-in touch screen building directory. Additional renovations included updating the elevator lobby.